You can connect your Samsung Galaxy S 5 phone to your stereo. You can also connect your phone to your TV. 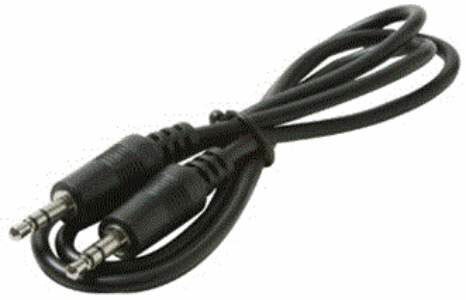 There are distinct approaches to connection if you’re connecting just audio to your stereo or audio and video to your TV. Although being able to listen to your music on the move is convenient, it’s also nice to be able to listen to your music collection on your home or car stereo. Your Galaxy S 5 phone presents your stereo with a nearly perfect version of what went in. The sound quality that comes out is limited only by the quality of your stereo. In addition, you can play the music files and playlists stored on your phone, which can be more convenient than playing CDs. Setting this up involves plugging the 3.5mm jack from the cable into the 3.5mm jack available on newer stereos. When you play the music as you do through a headset, it will play through your stereo. Although each stereo system is unique, the correct setting for the selector knob is AUX. You will be entertained. Enjoy yourself. You can also play videos from your phone on your TV — but you need a few things. 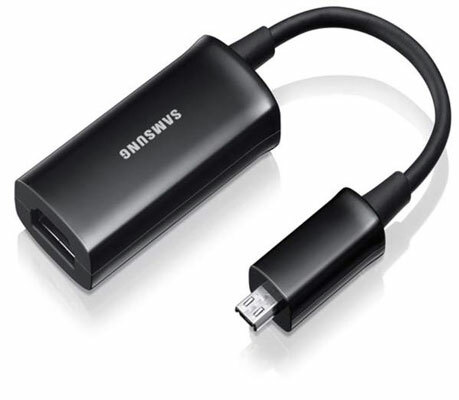 First, you need to get a Samsung HDTV Smart Adapter. The list price is about $25, but you can find this on sale on the Internet for a few dollars less. After you have one of these, you need to get a few more things together. For starters, you need a standard HDMI cable. If you have an HDTV, this is a standard cable. If you don’t have one handy, you can borrow one from your game console. I’m sure your kids won’t mind as long as you put things back the way you found them when you’re done. Get together your phone, charger/cable, HDTV Smart Adapter, and HDMI cable near your TV. This example shows you how to connect the components working from the TV to the phone. The order of the steps is an arbitrary choice. You could work the other way around or start in the middle. Connect the HDMI cable to an open HDMI port on your TV. If you’re not disconnecting an existing HDMI cable, connect one end of the HDMI cable to an open port on your HDTV. Remember the name or number of that port. Plug the other end of the HDMI cable into the HDMI port on the HDTV Smart Adapter. Plug the micro USB from the charger into the HDTV Smart Adapter. This is the only place where things could go wrong. You’re used to plugging the micro USB into the bottom of your phone. In this case, you plug it into the HDTV Smart Adapter. Plug the Micro USB from the HDTV Smart Adapter into the bottom of your phone. This will fit into the port on the right. The port on the left stays open. Turn on your TV and direct it to this port. It is suggesteded that you to remember the name or number of the HDMI port you connected on your TV. If you forgot, find it now. You should now see and hear everything that takes place on your phone on your TV. Start the video application and enjoy! Your phone can’t switch mid-video from playing on your phone to playing on your TV. If you happen to be in the middle of your movie, you need to shut down the Video Player application and restart the app and the movie.